Can’t ask better service people. They even pack our breakfast for us. Best stay. Casa Pizarro is a beautiful boutique hotel that offers fantastic value for your stay. The rooms are clean, airy and secure. The rooftop patio and pool are lovely as well. Where to find Getsemani hotels near an airport? How can I find hotels in different Getsemani neighborhoods? Where can I find hotels in Getsemani that are near tourist attractions? Getsemani is part of Cartagena, a well-known destination in Colombia. 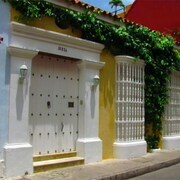 From Getsemani, the heart of Cartagena can be found 0.5 kilometres (0.3 miles) to the northwest. Cartagena is loved for its terrific visitor attractions, such as the San Felipe de Barajas Castle and Puerta del Reloj. Those who have sufficient time may wish to visit the San Fernando Fort. While you're in Getsemani, be sure to set aside some time to experience the San Pedro Claver Church and Convent, one of Cartagena's best-loved visitor attractions. 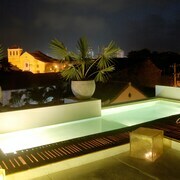 Located within a short distance of the San Pedro are the Charleston Santa Teresa Cartagena and Hotel Casa San Agustin. 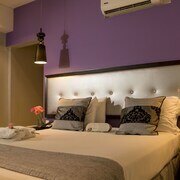 While the Hotel Quadrifolio and Ananda Hotel Boutique are situated close to the Clock Tower. Getsemani boasts loads of hotels allowing travelers to select a room that matches their taste and budget. Visitors on a budget should take a look at the Casa Portal de Getsemani and Hotel Casa De Las Palmas. 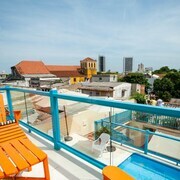 The La Matuna hotels guide is another area to find hotels in Cartagena. La Matuna is a neighborhood that's situated 0.4 kilometres (0.2 miles) north of central Getsemani. 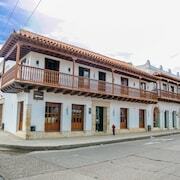 Alternatively, you could explore Expedia's San Diego hotels guide for hotels in San Diego, another Cartagena neighborhood. Should you wish to discover some more about this fascinating vacation destination, hop over to Expedia's Cartagena vacation travel guide. 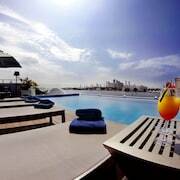 And when it's time to find a great hotel, please visit our Cartagena hotels page. 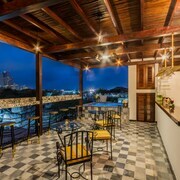 What are the most popular Getsemani hotels? Are there hotels in other cities near Getsemani? What other types of accommodations are available in Getsemani? Explore Getsemani with Expedia.ca’s Travel Guides to find the best flights, cars, holiday packages and more!